What makes a hero? Definitions range from the mythological to the mundane. World events seem to shape the word's use, and tragedy, as we saw in our space program earlier this month, can make its application instantaneous. Maybe the word's application to engineering seems a little strained, but look up "hero" in the dictionary and about halfway down the list of meanings comes the simple definition: "a person prominent in some event, field, period, or cause by reason of his special achievements or contributions." Behind every lifesaving drug, within every steel mill that employs half the town, for every chemical plant that performs complex transformations with utter safety, toils a process engineer who keeps it all in control. To those whose lives, livelihoods, or neighborhoods are touched, these guys are heroes; or they should be. These everyday process control engineers have their heroes, too; guys who have made their work easier and more effective. These process control stars have formulated new algorithms, created better hardware and software, or taught a new generation of engineers how to apply existing knowledge. So we set out two years ago to honor the luminaries in our profession with a virtual Hall of Fame populated by some of the finest minds and practitioners of process control. We are fortunate already to have the likes of Marion "Bud" Keyes, Bela Liptak, Greg McMillan, Greg Shinskey, Terry Tolliver, and Harold Wade. CONTROL's Process Automation Hall of Fame is in its third year of honoring outstanding professionals in the field. Members are drawn from the heavyweights in our industry--recognized significant contributors who have devoted their lives to the advancement and implementation of the craft. This year's trio was selected from a list of worthy candidates nominated by editors, readers, CONTROL's editorial advisory board, and the current Hall of Famers. To help us select future members, we welcome suggestions from readers. If you know someone you believe should be in the Process Automation Hall of Fame, please let us know who and why. * Karl Astrom, a world-renowned educator and theoretician who resides in Sweden. * Lynn Craig, president of Manufacturing Automation Associates, Medford, N.J., a longtime engineer with Rohm and Haas, and a batch control expert. * Charles Cutler, a longtime process control engineer at Shell Oil Co. who created the Dynamic Matrix Control algorithm and then founded a company on that control concept. Astrom's career is chronicled in the following story. Craig will be featured in the March issue, and Cutler in April. Join us in appreciating the contribution these engineers have made to our careers and our lives. The formal presentation of our CONTROL Process Automation Hall of Fame plaques comes during an awards dinner the first evening of World Batch Forum. The 10th annual North American conference for those in batch manufacturing will be April 13-16 at the Hilton Woodcliff Lake, Woodcliff Lake, N.J. The first day, a Sunday, opens with tutorials on ISA standards on batch control (S88) and standard manufacturing models and data exchange (S95) and ends with the CONTROL Hall of Fame dinner. The forum gets rolling the next morning when Paul Baduini, vice president and director of engineering at Rohm and Haas Co., delivers the keynote on "Optimizing Manufacturing Strategy to Align With Changing Business Requirements." A keynote the following day is "Without Operations Agility, Manufacturers Cannot Profitably Meet Consumer Demand," from Roddy Martin, a vice president at AMR Research. 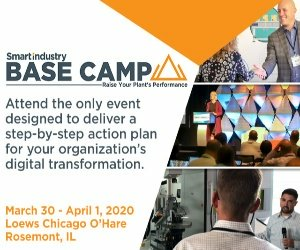 The three days are filled with tutorials, panel discussions, case studies, special sessions, and a table-top exhibit, all dedicated to improving batch processes. For more information, call 480/893-8803 or see http://www.wbf.org. Ever wonder why Sweden has long been a leading source of paper-making technology? Karl Astrom is one big reason. The Swedish engineer has been called the foremost process control theoretician in the world, creator of the best automated tuning method, and, through his long tenure in academia, teacher of some of the cream of the current crop of control engineers the world over. "While much of this work is over my head, his contributions are also among the most practical," says Greg Shinskey, himself a member of the CONTROL Process Automation Hall of Fame (and its difficult talking over his head). "One of my most prized possessions is an autographed copy of his book, Computer Controlled Systems, just one of his many publications." Astrom, 68, currently professor emeritus at Lund University in his homeland and a visiting professor at University of California at Santa Barbara, has a masters degree in engineering and a Ph.D. in engineering physics. He has more far-flung honorary doctorates than most people have passport stamps: from Chalmers University of Technology in Goteburg, Sweden; Universidad Nacional de Educacion a Distancia, Madrid, Spain; University of Glasgow (UK); and lInstitut National Polytechnique de Grenoble (France). Visiting teaching appointments have taken him to Pavia, Italy; Lausanne, Switzerland; Canberra, Australia; Vancouver, British Columbia; Tokyo; Zurich; Peking; London; as well as UC-Berkeley, MIT, and the University of Illinois. Astrom is a fellow of the Institute of Electrical and Electronics Engineers and a member of the Royal Swedish Academy of Sciences and the Royal Swedish Academy of Engineering Sciences; he has published numerous books and papers; and has won numerous awards, including the IEEE Medal of Honor in 1993. We are pleased to make him this years first inductee into the Process Automation Hall of Fame. A bright student who was always building things, Astrom enrolled in 1953 at the Royal Institute of Technology in Stockholm, Swedens premiere engineering school. "It had the toughest entrance requirements for the branch of engineering physics I was interested in, with only 15 students admitted from all of Sweden," says Astrom. He wouldnt encounter process control until five years after his Ph.D., when he joined IBMs Nordic Laboratory in Stockholm in 1961. "There were two important developments in the early 1960s that led to a paradigm shift in control theory," he reflects. "One was new theory development,differential equations were used to describe systems instead of transfer functions. The other was the emergence of the use of digital computers for control. "Initially [at IBM] I worked on problems for steel mills and nuclear reactors. But what really turned me on was a major project in the pulp and paper industry, which was a joint effort between Billerud [a large Swedish pulp and paper company] and IBM," Astrom recalls. "I had just returned from a very interesting period at IBM Research in the U.S., and my group became responsible for online control. We had superb management that encouraged research and gave us a lot of freedom. "My main concern was with control of basis weight and moisture content and quality control. We made extensive use of Kalman filtering for prediction of quality control. Time delay and stochastic disturbances were major issues in control of basis weight and moisture. It seemed natural to apply stochastic control theory to minimize the fluctuations. This required modeling. Together with Torsten Bohlin, we developed new methods for system identification based on plant experiments." Astrom put more than three years of work into the project. What resulted was one of the earliest computer-controlled systems for the pulp and paper industry. The computer was an IBM 1710, with core memory of 80 kB, a hard disk of 4 MB, and a clock rate of 100 kHz. The system had 80 analog inputs, 22 pulse counter inputs, 100 digital outputs, and 45 analog outputs. "From todays perspective, it may appear surprising that anything could be done with such a minute system!" As is the hallmark of much of Astroms work, the resulting system was grounded in theory and mathematical modeling, but proven with experience on the plant floor. The end result was a complete computer architecture optimized for pulp and paper processing, with not just software but alterations in the hardware of the IBM 1710. In this project, Astrom learned another golden rule that would serve him throughout his career: "Sometimes you need to redesign the process and not just the controller." The Billerud-IBM project created several technological,mostly theoretical,byproducts. "In it, we also developed the minimum variance control strategy for minimizing the variations in the quality variables. We spent quite a bit of effort in making the algorithms robust," he continues. "It is interesting to see that the minimum variance strategy 30 years later has become the norm for quality assessment." It also begat system identification, a modeling of the process through the introduction of upsets followed by measurement and analysis. After the Billerud project, a funny thing happened on his way back to IBM Research in the U.S. "In 1965, I also applied to be the new chair in control at the Lund University Institute of Technology," in the city of Lund, Sweden. "To my great surprise, I got it and I moved to Lund where I was able to build a control department from scratch. "I was eager to do this because I saw tremendous opportunities in control. We set up an ambitious research program in control with strong theoretical programs and many industrial contacts, both large companies like Asea [now ABB] and IBM and small companies. Some of the early research projects were system identification, adaptive control, digital control, and computer-aided control engineering. We had a strong theoretical foundation from some of the ideas that we had tried experimentally in the IBM-Billerud project, and the industrial contacts made it possible to try many things in real life. It was a very good interaction between high-level theory and real industrial projects." Since 1965, Karl Astrom has been training new process control minds--and using them to solve real-world industrial problems--from Lund University in Sweden. This industry-academia partnership he forged at Lund made him realize that "obtaining mathematical models of industrial plants by observing their reaction to arbitrary perturbations and analyzing results is a very powerful tool. It also leads to some very interesting theoretical problems." In his position at Lund, he was able to devote not just himself but the minds of many graduate and doctorate students to solving these real-world industrial problems. "Adaptive control was one of the key research areas. One of the most interesting results was the development of the self-tuning regulator, which was done with one of my Ph.D. students, BjÃ¶rn Wittenmark. This has many interesting theoretical properties and it was one of the first adaptive controllers that was used industrially on a reasonably large scale." Another innovation was the relay autotuner. "In late 1979, I was on leave to a very small company, Telsand AB, to do a special project on control of blown film extruders. The company was an agent for Eurotherm in England, and through this contact with Eurotherm I learned PID controllers very well. I clearly saw the need for automatic tuning in PID controllers. A new scheme for automatic tuning based on relay feedback was invented with a colleague Tore HÃ¤gglund. We patented the idea and looked for industrial partners." The technology of the relay autotuner became a key component of most distributed control systems. "I rate it as the best of the automated tuning methods," says Russell Rhinehart, head of the school of chemical engineering at Oklahoma State University. But one of his greatest contributions is the two generations of Ph.D.s and masters students he educated in Sweden, other parts of Europe, and the U.S. "He covers just about every field and does so with the perfect mix of theory and practical engineering," says Petar Kokotovic, director of the Center for Control Engineering at the University of California at Santa Barbara, where Astrom currently spends three months of each year. "He has what I call common engineering sense, plus the soul of an inventor. "He dramatically changed the spirit and style of undergraduate teaching here," Kokotovic continues. "He enlivened it. Made it more intense, more physical, more appealing, but also playful and imaginative. He treats undergraduate students with as much respect as he would a Nobel prize winner." "Im impressed with his vision," adds Frank Doyle, a fellow professor at UCSB. "His activity here spans the spectrum from classical control problems to educational issues to new research. He believes control engineers can play a role in many endeavors outside of industry, especially in biological systems." One of his favorite ice-breakers with a new class of engineers is a backwards bicycle. Astrom calls it a Klein bicycle, after a retired University of Illinois professor who introduced him to it. With front-wheel drive and steering in the rear, "Out of a class of 70, I can only teach four or five students to ride it," Astrom says. While there are a number of control theories embodied in the contraption, the ultimate message, according to the professor, is "the design is flawed. Sometimes the process is so difficult to control, you have to go back and redesign the process, as well as the controller."